Halloween Special Fruit and Vegetable Carvings! 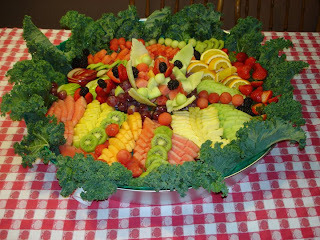 I have already posted great new Halloween Recipes and Recipe Video in my other blog on Recipes and Best Videos blog. 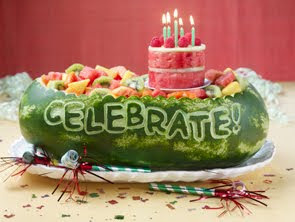 Just could stop searching for some fine Vegetable and Fruit Carvings for Halloween. So here are some great Halloween Fruit and Vegetable Carvings. Happy Carving!These videos are something really new! PARENTAL WARNING - VIDEO NOT SUITABLE FOR VERY YOUNG CHILDREN!!! 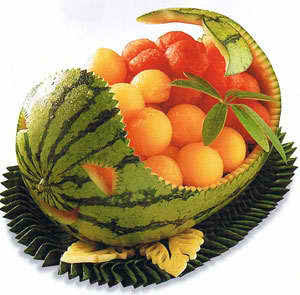 - Video contains a montage of Halloween pumpkins that were artistically carved for the occasion. 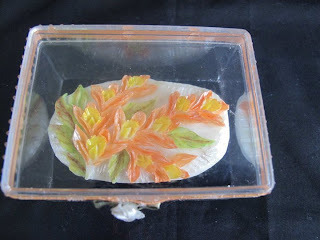 However, while these are simply beautiful carvings using pumpkins as an artistic medium, the detailed work on them is exquisitely done and sometimes seemingly life-like. So, B-E-W-A-R-E! Some of them can be really down right scary - ESPECIALLY NEAR THE END!! Glowing Pumpkins - Cool Halloween Science! Steve brings a new twist to his classic Elephant's Toothpaste experiment with the addition of a little Halloween spirit... and some giant pumpkins. You won't believe your eyes when you see what happens when you perform the Elephant's Toothpaste experiment inside a pumpkin! This new take on a classic favorite will leave your party guests amazed. And while you do your Halloween Pumpkin Carvings here is another great video that shows some of the World's best Halloween Pumpkin Carvings, just for a watch. 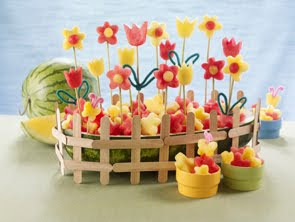 So take your time watching these videos and also trying these carving ideas. Happy Carving, Happy Halloween. 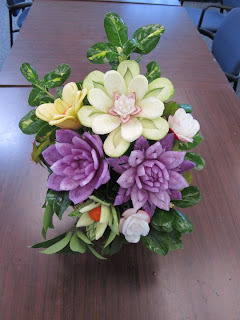 Fruit Carving and Soap Carving Classes. 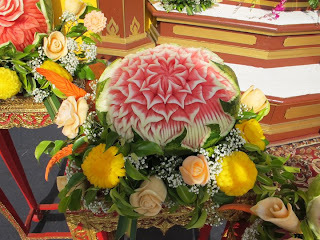 Continuing on my introduction and promotion of this wonderful Art of Vegetable and Fruit Carvings and also highlighting the fantastic artists that create these wonderful pieces of art, I am today trying to update you with some more information about Nitda Phongcharern. 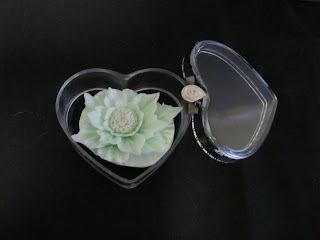 Besides teaching at Golden West College, she also takes private classes for Fruit and Soap Carvings. Interested aspirants and enthusiasts may take advantage of this information. Do take best advantage of her skills and I am sure that there would be a lot of people waiting to get their hands on this information. 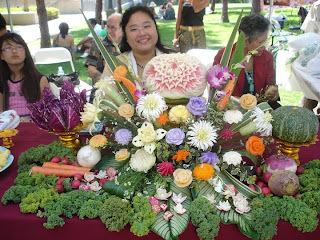 Continuing on my introduction and promotion of this wonderful Art of Vegetable and Fruit Carvings and also highlighting the fantastic artists that create these wonderful pieces of art, I am today trying to display some wonderful work by Nitda Phongcharern. You may read more about her and her work at Nitda Phongcharern. I have tried to display some of her best works here. 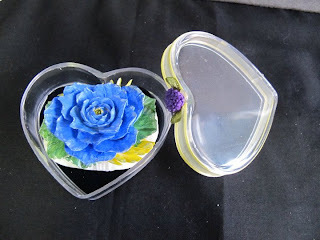 I will be again posting a separate post for her with her other work and details of the Classes she conducts. 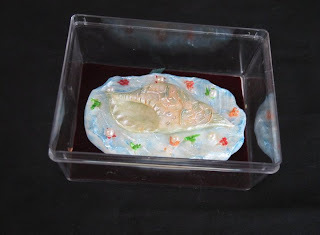 As I mentioned earlier these were only a few images and displays of the wonderful work that Nitda Phongcharern has been doing, and I will very soon bring more details about her classes, and other work for all our readers and patrons to know more about. 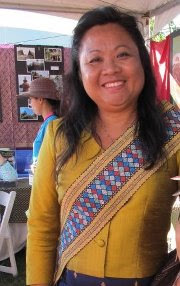 Till then enjoy the work, and you may feel to keep in touch with her at her facebook profile - Nitda Phongcharern. 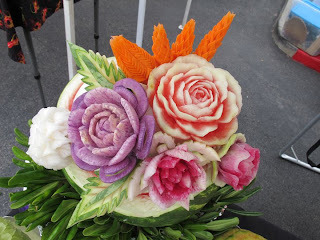 HOW ABOUT DECORATING YOUR DIWALI WITH SOME FANTASTIC FRUIT AND VEGETABLE CARVINGS! With Diwali around the corner, what better way than to try and do something different! 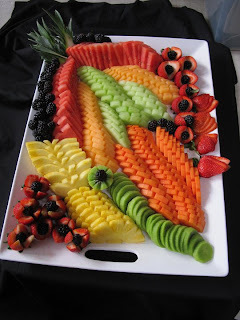 Why not decorate your Center Piece Table Food with some great Vegetable and Fruit carvings. 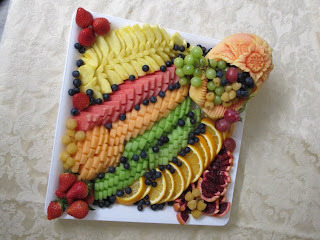 This will not only add more color to your Diwali Food layout but also allow you to learn something new. Give it a try and I am sure you will love this art even more! 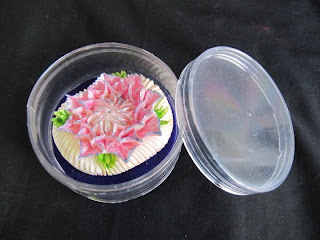 Watch this step by step instruction tips to carve wonderful Carnation Flowers which you could decorate around your Diwali Sweet Dishes and food Display! 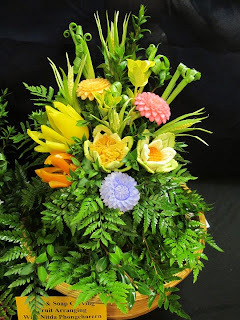 Just click on the image of the flower or the link above and it will take you to the site. 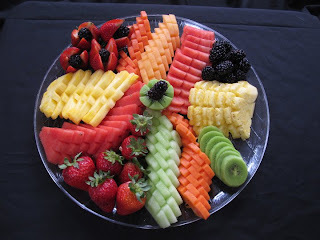 Read all the content on this page above for great Fruit and Vegetable carvings at the above site. 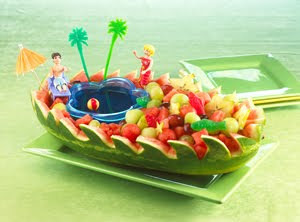 Here is another fantastic Watermelon Carving. I just could stop watching and reading the articles and carvings at this site. Just substitute the words Celebrate with something like "Happy Diwali" or any words of you choice and see how much the guests will enjoy the function! I think these are enough carvings to start off with and experiment as each site again gives so many options. That is why I like to give you the direct links of the sites in my articles so that you may benefit from the information, without any prejudice. Happy Carving!